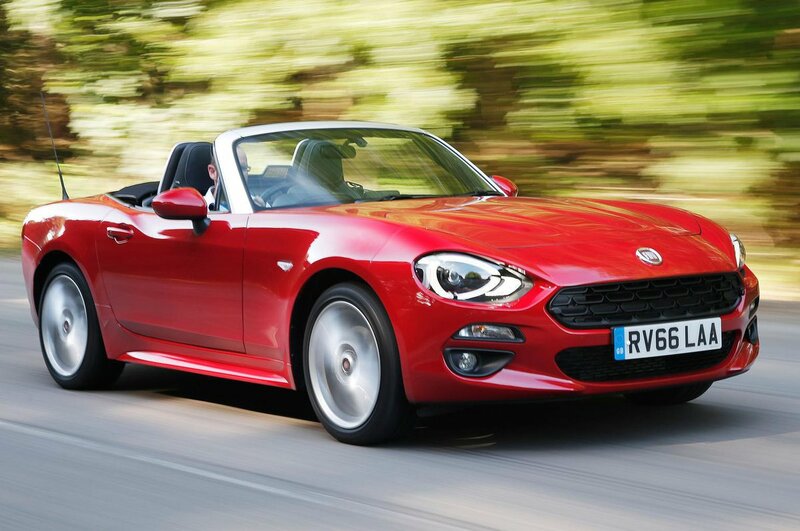 Fiat 124 Spider Performance, Engine, Ride, Handling | What Car? Thanks to a punchy little engine that delivers spurts of brisk acceleration, the 124 Spider is respectably quick, reaching 62mph in just 7.5sec. There’s a little turbo lag, which sets you back for a moment each time you upshift, and can be annoying in traffic, but once on song the engine pulls consistently through most of its rev range. The six-speed manual transmission’s short, neat action makes it easy to stay within the ideal power band, too. The 124 Spider sounds racy in the mid-range, but there’s a bassy drone from the exhaust below, while high revs bring a loud, strained engine note, and this soundtrack remains prominent even with the roof up. The engine’s noise and spiky performance are somewhat at odds with the car’s laid-back ride and handling. It soaks up bumps neatly, and the steering - which is on the heavier side and short on feedback - prefers to sweep through corners rather than attack them. Get aggressive and you’ll unearth significant body roll when cornering and pronounced dive under braking, but the brakes themselves are strong and offer some pedal feel. Most noticeably in town and when cruising on the motorway, there’s a fair bit of shimmying from the chassis, and, though wind noise is very well contained, road noise is noticeable over coarser surfaces. 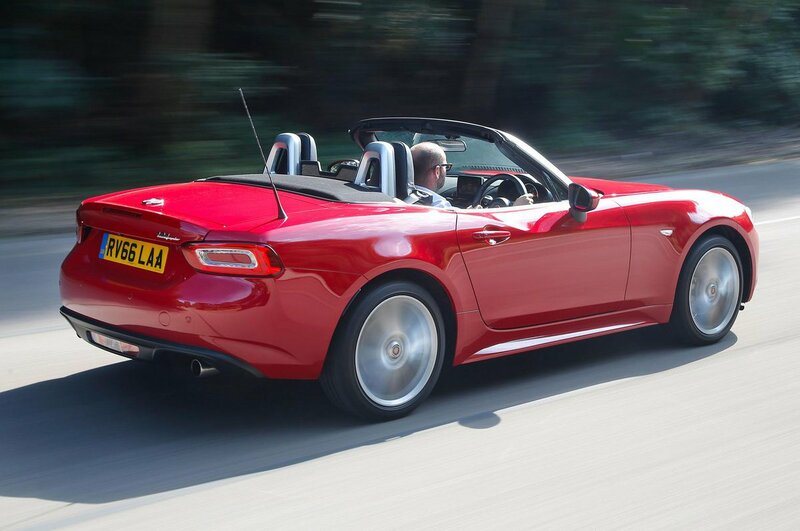 Combined with the vocal engine, this means the 124 Spider is less refined that it might be.